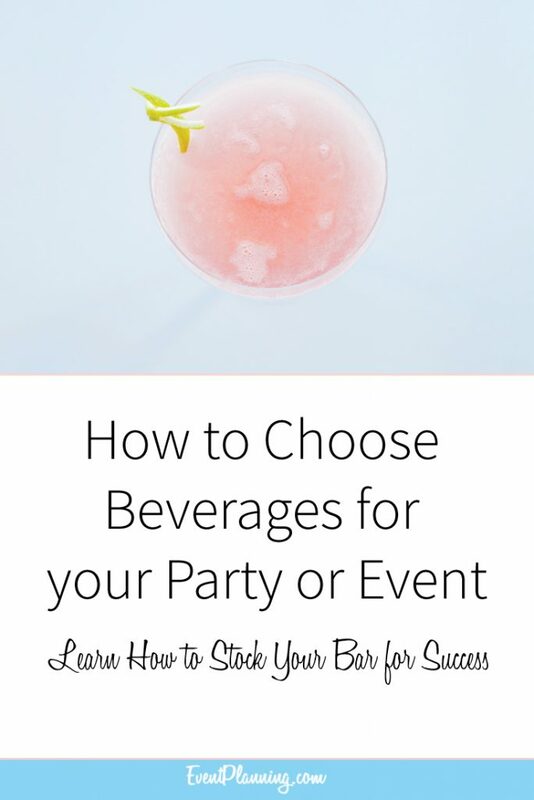 When preparing to make the beverage selections consider the type and theme of the event, the type of guests that will be attending, and the types of foods that will be served. For example – if you are having a business dress “after business” reception with appetizers your selections can be basic and light. 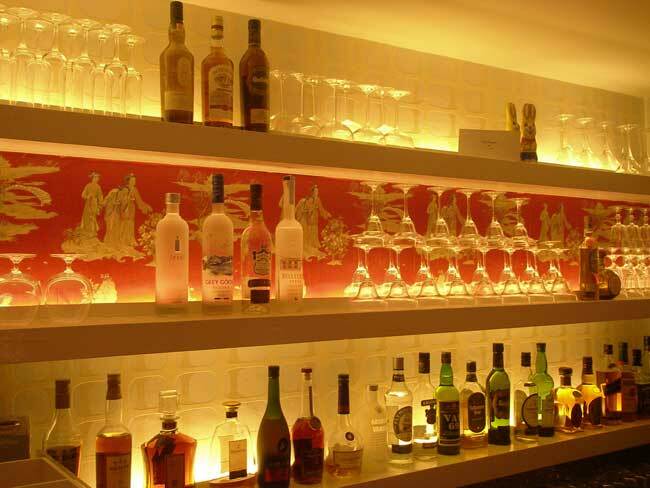 A basic selection of beer, wine, and non alcoholic beverages will usually fit the bill in that situation. Although you will never be able to please everyone try to target the basic mainstream tastes rather than stocking trendy products. If the attendees are business people or business clients who are coming directly to your reception after work, odds are they will not consume a great quantity of alcoholic beverages, so a quality wine selection along with a domestic and either micro or import beer plus a selection of non-alcoholic beverages will give you the most bang for your buck. Although wine should ideally be paired with the food selection, a reasonable quality selection of Chardonnay, White Zinfandel and a Cabernet Sauvignon or Merlot will please just about everyone without offending the discriminating palate. From a cost and handling standpoint, it is best to keep your beer selections basic as well. A domestic regular and light selection along with one import or micro beer selection will usually be adequate. Since you do not know what specific type of beverages your guests will consume, by minimizing the selections, you will be able to stock sufficient quantities of each within a reasonable budget to make sure that you do not run short of any individual selection. Non alcoholic beverages are also an essential offering. A selection of soft drinks, usually cola, diet cola, a lemon/lime soda like Sprite or 7up, and sparkling water with lemon and lime twists will take care of the soft drink selection. Regular and decaf coffee should also be available. Weddings and gala grand opening parties have different stocking requirements since the activity and consumption levels of attendees is significantly higher. Again, it is best to keep the selection basic to minimize waste and overstock leftover costs. If large numbers of attendees are expected, consider changing the type of product packaging used to save money as well. * A keg of beer is equal to 6.88 cases of beer, give or take a bottle, which means you can save about 50% on the cost of product if you utilize keg beer instead of bottles and the required storage space is significantly less. Although some people tend to believe that keg beer has a negative visual impact, there are CO2 operated tapping systems available that allow the kegs to be hidden from view under the bar or a back bar table. Fabric covers for the visible part of the tapper systems are also available which further enhances the appearance. You can also simply drape the visible part of the tapper system with fabric. Bulk wine (boxed) transferred into carafes can also save you 50% or more on the cost of product versus using bottled wines. I would like a couple options for books to purchase, trade shows if in the area, and training if available as well. You have my email if you can send anything over. Thank you.